The Center for Disease Control's (CDC) Global Health Odyssey Museum is a sobering, yet exciting, adventure of exploration of disease and other life threatening situations human beings face every single day. The Global Health Odyssey Museum is another of the hidden gems in Atlanta. I had no idea there was such a thing, but it makes sense that they would have a museum (and a museum outreach program) given their position to offer an incredible amount of information. Fortunately for me, the museum is only a few miles from where I live. And it's only a few miles from downtown Atlanta, making it easily accessible for tourists, too. It's one of those places where the value of touring outweighs any effort to get to it. 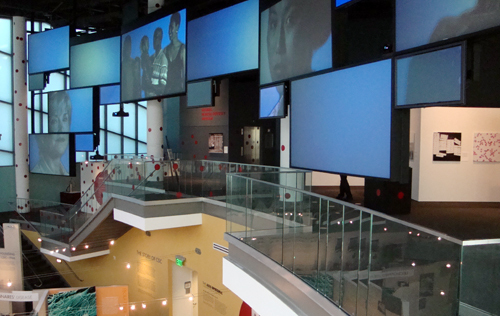 Global Health Odyssey Museum, one of only a few Smithsonian Institution affiliate museums in Atlanta, is presented to the public by the Centers for Disease Control and Prevention. If Hollywood has you a little nervous about the transportation of pathogens (12 Monkeys, Outbreak, Children of Men), don't worry too much. The CDC has an exhibit that explains at great length the safety precautions taken to ensure safe transportation of anything that may be harmful to humans, although I did not see any mention of zombie-causing viruses. There are also photo-opportunities in the museum. 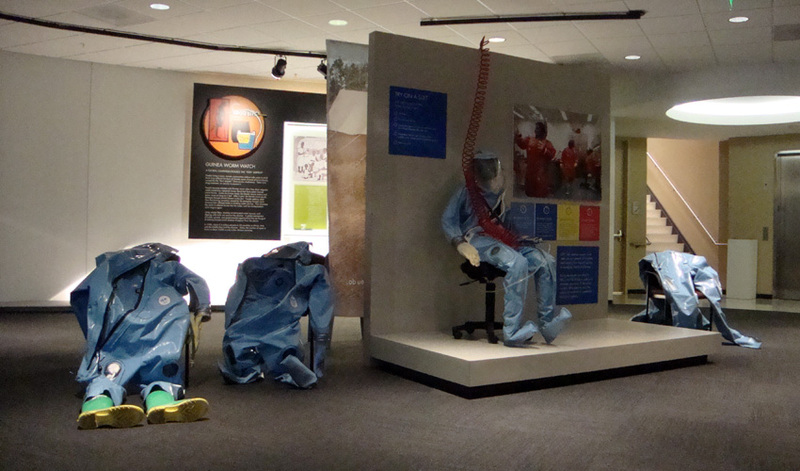 You know the isolation suits you see doctors wearing in contamination sites in the movies? They have several of those that you can put on and make photos with…kind of fun, right? 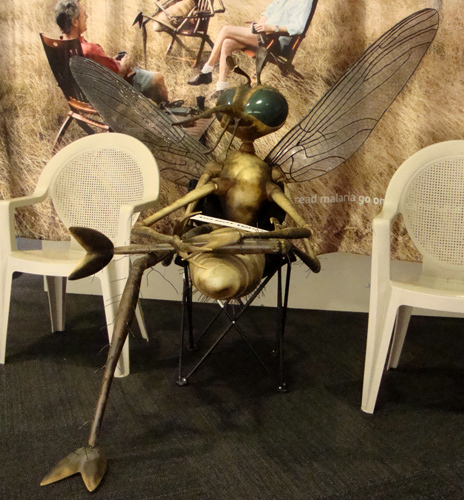 There’s also a huge, as-big-as-a-person huge, mosquito sitting on a lounge chair waiting to have its photo made with you. Please resist the urge to bring a flyswatter or bug zapper…it's not real and as long as it's not squashed, other visitors can make photos with it, too. When visiting, remember that the CDC is a secure facility, so you will have to check in at the front security gate (show your government issued photo identification), go directly to the Museum, check in with security at the Museum, pass through a metal detector, and wear a security badge at all times. 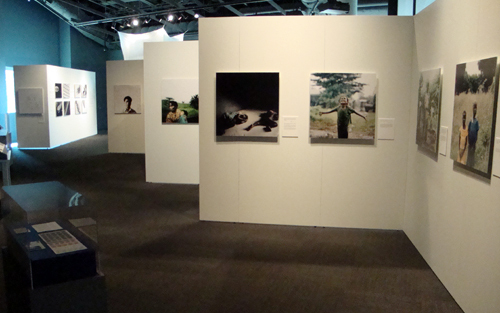 Photography is permitted in the Museum, but not in other areas of the CDC. 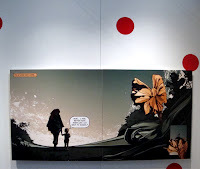 The CDC’s current special exhibit, "Malaria: Blood, Sweat, and Tears," (through May 20, 2011) tells of the millions of humans who have perished at the bite of malaria carrying mosquitoes; the rise and fall of global support for eradication of malaria; and the current (and hopefully growing) efforts and technological resources becoming available to combat the deadly disease. 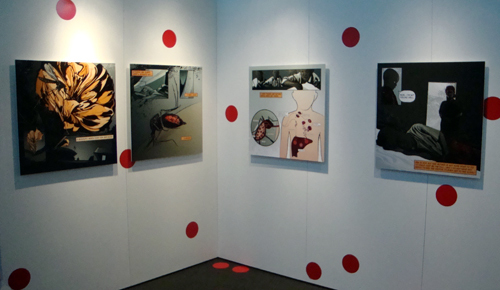 The Malaria exhibit takes you through an historical timeline of the disease, via two tracks, one historic and one scientific. Highlights include: Alexander the Great likely died of malaria; Cleopatra slept under "mosquito netting;" and in 1881, Cuban doctor Carlos Finlay theorized that mosquitoes transmit disease to and from humans. 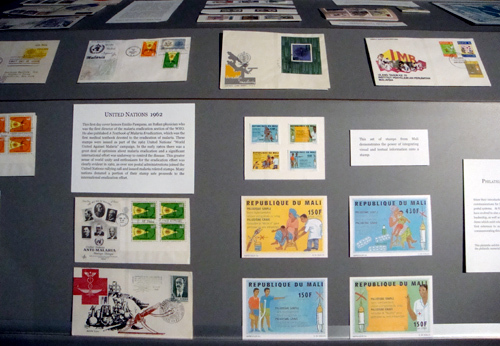 Also, you learn about awareness campaigns, including an impressive exhibit of postage stamps and how they were and are used to create awareness, not only of the disease but of its causes and available treatments. And you also learn about the carrier—the mosquito. Did you know that the mosquito causes more human deaths and suffering than any other animal on the planet? Did you know that there are less than 40 species of almost 3,500 that commonly transmit malaria? 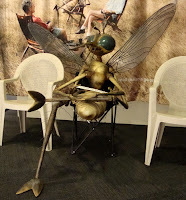 Did you know that mosquitos transmit malaria in approximately 100 countries? Probably most importantly, you learn what's being done to eradicate malaria and what still needs to be done. I encourage interested visitors to take their time and read all the information being shared in the exhibit…it will take time, there's a lot, but it'll be very much worth the awareness being imparted. One thousands red dots! What's that all about, you ask? It's a brilliant design element that helps share the brutal fact that more than 1,000 people will die of malaria in the next 10 hours. 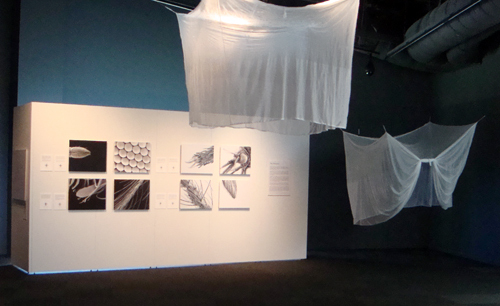 If you walk away from this exhibit with nothing else, leave with the motivation to so anything you can to prevent the nearly one million annual deaths due to malaria (which seems so senseless given that so many countries have totally eradicated the disease!). Like most museums, this one comes with art as well. At the entry of the Global Health Odyssey Museum stand a stone statue to welcome visitors, "The Messengers." 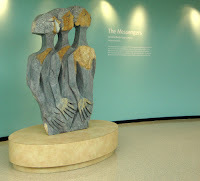 The Messengers was carved by Lameck Bonjisi of Zimbabwe. Lameck, who died of AIDS at the age of 30 was considered one of Zimbabwe's major sculptors. Also on display is a statue of Shitala Mala, the Hindu goddess of smallpox. This particular statue was a gift to Dr. Donald Hopkins who was a member of the CDC malaria team in India in the 1970s. Return to the CDC? Absolutely…with the exponential advances in medical research, their special exhibits promise to always be exciting, inspiring, and educational. And as we all know, in the search for treatment awareness is half the battle! And quite literally, the CDC's efforts are critical in preventing disease and controlling disease so that we have the opportunity to live. Hours: 9:00 a.m. – 5:00 p.m., with extended hours on Thursdays until 7:00 p.m. Closed on all federal holidays. I didn't know about this. Thanks. The view from the CDC hill top is amazing. 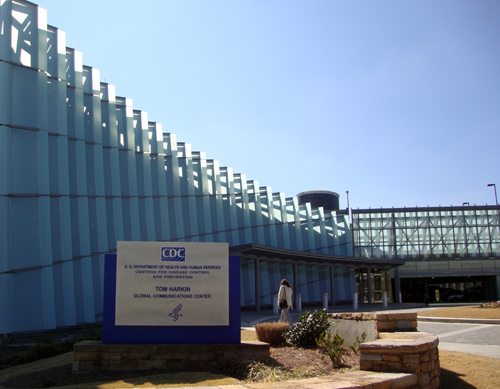 I didn't know the CDC had museum either! So interesting!